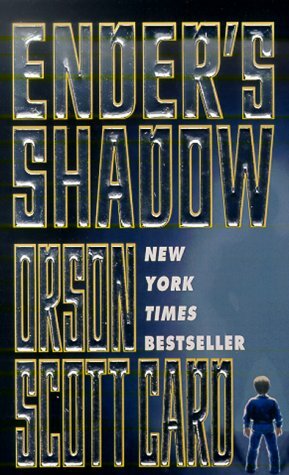 Ender's Shadow is Orson Scott Card's parallel novel to Ender's Game... the two stories take place during pretty much the same time period. They also seem in to generate the kind of relationship parallel universes would have: distinct existences uncomfortably close together, surged by similarities but ultimately rendered apart by their polarities. Ender's Game follows the Ender Wiggin through his growth from victimized little kid to unequalled hero who saves the whole world but it ultimately tormented by it. Really, it turns out Ender is a sad and lonely boy, with deep latent psychopathic tendencies, best observed in his older brother, and expressed in Ender as triumph for his side of war in the mass genocide of an alien species. He feels bad, he really does, but he truly is (at least in this first part of his story, there are other books that follow) a sociopathic killer who can both feel bad but is unable or unwilling to curb his violent actions in spite of himself. You have to love him, because he is so damn lovable. I mean, I love him. 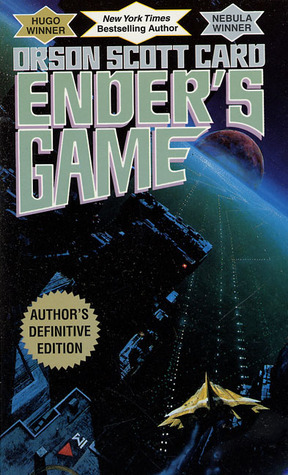 And I love this book, even more so for having read Ender's Shadow immediately after finishing Ender's Game. What I really like about the parallels of these parallel novels is the tension created by these stories' coexistence. While one can be about a boy who is all things sweet and innocent while still a real cold-hearted killer, another boy, just as remarkable, can be a sociopath who heartbreakingly longs for humanity. I like bleakness, I guess. Well, no, I don't guess, I know I like bleakness in fiction, and I really don't have a problem with that. Ender's Shadow follows Bean (I promise I will someday have a child and I will nick name that child Bean... or I'll get a puppy, whichever comes first), a street urchin (really) in a futuristic Amsterdam. It sounds adorable and fairy tale-like at first, but even before I can start imagining little Bean sing about a Hard Knock Life and dance around in a newsy cap, he starts plotting another child's death. It's like on page 3 or something. Right from the start this is a bloody and God-forsaken setting where children prostitute themselves, starve others, and beat the FRAK out of each other. Where children strangle each other while they pretend to love each other. And then Bean is rescued. Because if he wasn't, it wouldn't be a whole book. He travels to the same school as Ender, enrolls in the same exercises, studies the same lessons, but has a completely different experience. While Ender is so worried about himself, so focused on the evil and the darkness that allows him to kill other children - if not easily, then certainly without hesitation - Bean is completely focused on Ender. Bean is focused on everyone, all the time, actually. At some point, Bean's own sociopathic tendencies turn into compassions and make him a central player in the child war games of the school. Ender's psychopathic tendencies turn him into a self-absorbed (albeit still lovable and relatable) outsider. But then there's another twist: Ender is always the beloved, while Bean is never quite trusted by anyone. And we only know this because Bean WILL NOT STOP TALKING ABOUT ENDER (but it's ok, because I still love Bean, too). Bean's internal dialogue is so possessed with what others are feeling and what the others think that we know all the internal dialogue of everyone else in his book - except Ender. They are like two heavenly bodies: one circling the other while the other circles itself. 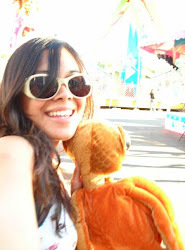 But I like that, because eventually one will fall into the other and everything is destroyed. And everything is destroyed... in the end, Ender is driven so insane by his guilt in his success in the war, he must flee his home (a home he rejects, anyway, it turns out). Bean is brought home, instead. He is given to the family he never knew he had, and they hug him and kiss him and love him. And then one last difference. While we know that as Ender leaves behind Earth to colonize the emptied homes of the creatures he destroyed, he has a full life ahead of him, something of a potential to redeem himself or revive himself to becoming a creator and no longer the destroyer. Bean, meanwhile, stays ever locked down at home, and with a sad future to round off his sad past: he has his family now, but in the story, we understand that Bean's condition means he will live a short and painful life, his body will destroy itself because of the very genetic mutation that makes him so remarkable. These are wonderful science fiction books, so much more philosophical than they are science fictiony.